Bet you can't tell who this is. Thread: Bet you can't tell who this is. On August 10, 2012, Jefferson signed with the Montreal Alouettes of the Canadian Football League and is currently assigned to the practice squad. 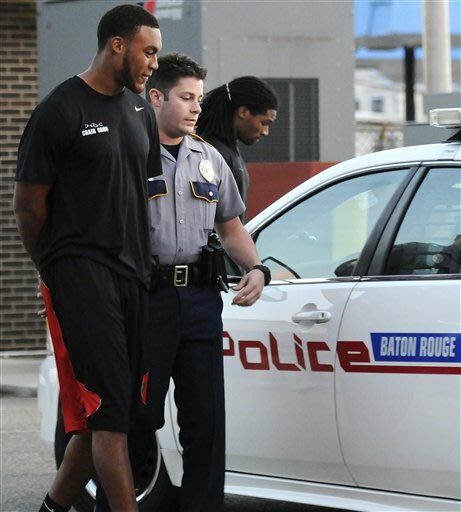 On October 25, 2012, ESPN reported, citing WAFB in Baton Rouge, LA, that Jefferson was arrested were charged with possession with intent to distribute marijuana, along with 3 other former LSU football players, including former Heisman Trophy finalist Tyrann Mathieu. As of yet, the Montreal Alouettes have not commented on the situation. Tech did you think it was the man formerly known as Honey Badger?